Behold the Earth is a music-rich documentary film that explores America’s divorce from the outdoors through conversations with legendary scientists E.O. Wilson, Cal DeWitt, and Theo Colborn, as well as a new generation of creation-care activists within America’s Christian communities. Katharine Hayhoe, Ben Lowe, and Corina Newsome are close observers of nature bearing witness to creation, asking tough questions about church engagement with environmental issues. Can these emerging leaders reduce the human degradations of our earth? 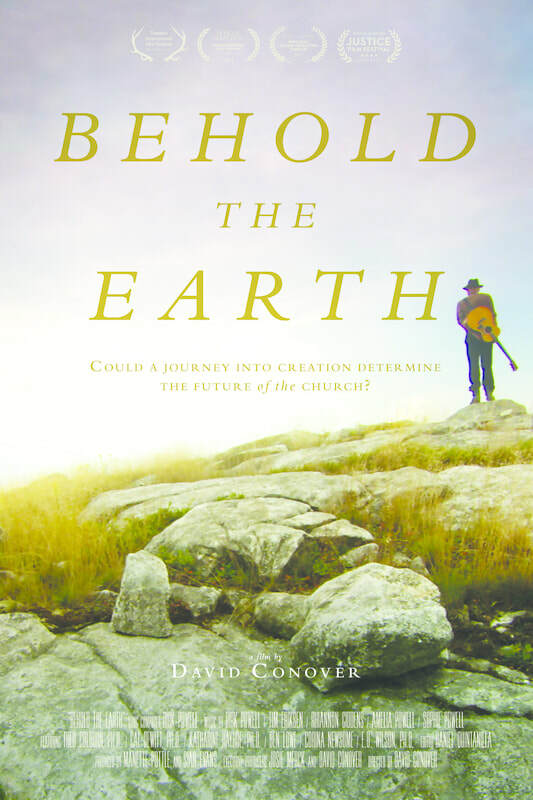 Can they revive the reach and relevance of America’s Christian and environmental movements? Film director and conservationist David Conover boldly began this film 12 years ago as an inquiry into America’s separation from the outdoors, before-and-after the arrival of those known as the digital natives. Four time Grammy-award winning musician Dirk Powell leads arrangements of traditional American tunes and hymns, with Rhiannon Giddens and Tim Eriksen, and Dirk’s daughters Sophie and Amelia.